Presenting Py Game at your school (for free)! Contact us (email: pygame.sun@gmail.com, or call 760-458-1613) to schedule a school presentation. 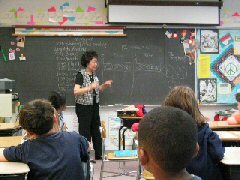 Each presentation is designed to fit the needs of each grade and each school. After a brief verbal explanation of how to play the game (which differs, depending on grade level and math ability) and then the class dives right into an interactive workshop, where students have the opportunity to play the game right away! Level 1 – Learning Numbers (K-1 grades): This level builds skills in number recognition, number order, and counting. Level 2 – Plus and Minus (2-4 grades): Level 2 applies basic algebra with addition and subtraction, using a fill-in-the-blank strategy. At this level, students begin to learn that there can be many different ways of mathematically arriving at the same number. Level 3 – All Operations (3-6 grades): At this level, students apply a full array of their math skills and knowledge, including addition, subtraction, multiplication, and division. Level 4 – Combinations (3 grade and up): Level 4 incorporates all of those mathematical operations used in level 3, but here, students also use power, nth root, factorials, and algebraic functions. Creativeness is highly encouraged! Level 5 – Squares (3 grade and up): This is the single-player version of Py Game, developed by the inventors daughter while she was in 8th grade. In this last part of the presentation, students actually get a chance to play Py Game with fellow classmates, their teacher(s) and the inventors themselves! Who says that math is hard and boring? All students from all grade levels and math abilities are enjoying math through Py Game. 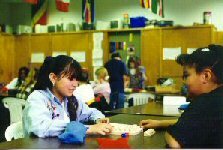 Py Game motivates students, uses cooperative learning, allows students to create their own understandings, and makes concepts accessible to all students. 1. How long do presentations last? The length of presentations varies, but each presentation usually takes 30-45 minutes, including the interactive workshop. 2. Do you present in settings other than school classrooms? Absolutely! In the past, the inventors have presented Py Game at teachers conferences, teacher’s in-service, parent council meetings, PTA meetings, family fun nights, school fund raiser events, math fun nights, regional and national NCTM Conferences, and church activities. 3. How much do presentations cost? 4. Can you present anywhere in the United States? The presentation is currently available for the following states: CA, ME, MA, CT, and RD If your state is not listed here, please call us for an arrangement. Dr. Yoobong Kim is a inventor of Py Game and author of the website http://www.Pygame.com. He received his Ph. D. in mathematics from The University of Cincinnati and taught mathematics and statistics at many colleges. 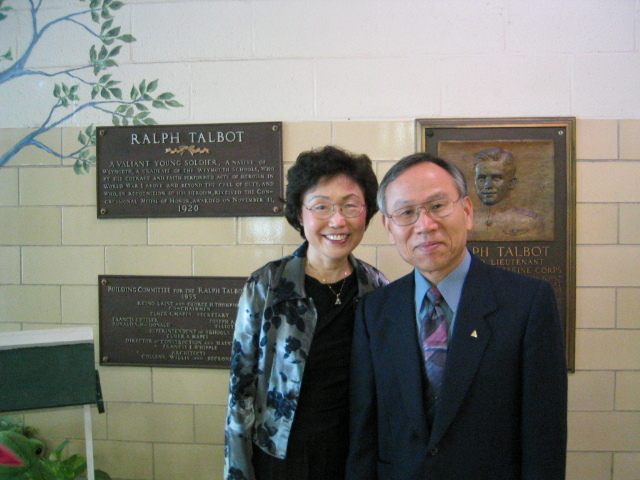 Dr. Kim and his wife co-inventor Sun Kim have been presenting Py Game for many years. Two daughters of Dr. and Mrs. Kim: Lily Kim (graduated MIT/Harvard) and Connie Kim (graduated Harvard), contributed many ideas for the creation of this unique invention.